Elektra Passive Harmonic Filters are designed to protect your system against harmful effects of harmonics. This unit is installed at the input of harmonic generating load (i.e Motor drive, inverter, UPS etc.) and eliminates harmonics at the source. 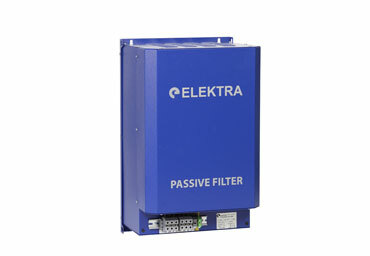 Elektra Passive Harmonic Filters are available in two forms: wall type and panel type. For the current values under 110A Wall type units are used. For higher current values panel type is preferred. General Features can be listed as follows. Automatically regulates the panel/cabinet temperature.